The decisions you make to honor the life of your loved one are very personal, and the professional staff of Turner Funeral Homes can guide you through the process. In collaboration with your TFH funeral director, you will make three key decisions that help define the rest of the process: (1) what type of service to hold, (2) how to treat the body, and (3) where to lay the body to rest. Here are some things to consider. Within this traditional path, TFH offers many options, such as visitation, viewing, rosary service, traditional funeral service, graveside service, and receptions. Services may be public or private and as simple or elaborate as a family desires. Burial options also vary, including in-ground, mausoleum, or private family estates. Families that choose cremation find that these memorializations are evolving. Today, many choose to celebrate life with a traditional service including viewing, visitation, rosary service, chapel or church service, and reception. These services offer family and loved ones the opportunity to gather to remember their loved one. The options for placement of cremated remains (cremains) are also increasing. A traditional gravesite may be used, with a headstone or memorial that is typical of traditional burial. Some families choose to scatter cremated remains at a meaningful location (with proper permission), or keep the cremains in an urn. Will your family (or those involved in the decision) be in agreement? What burial options will you choose? A traditional funeral service is the most common and familiar type of service held to celebrate the life of a loved one. It generally involves three events: (1) visitation, held at the funeral home prior to the funeral, (2) funeral service, held at a place of worship or funeral home chapel, and (3) burial and graveside service at a location of the family’s choosing. You may also want to consider a reception or meal for family and/or close friends following the service. This traditional structure allows ample time for family to gather, for friends to support the family, and for memories to be shared which helps in the healing process. Where you want to hold the service? Often times it is most convenient to hold it in our chapel; however, you may prefer your place of worship. What personal tributes would you like to include, such as memorabilia, a slideshow and/or a casket spray with one's favorite flowers? What burial site have you selected? Who will conduct the funeral service? How you may want to customize the funeral service? Do you want to have a reception or meal in conjunction with the service? Arrangements for transport from out of town, state , or country: TFH can make arrangements to transport the body to one of our facilities for service and/or burial. Turner Funeral Homes has a proud tradition of serving families of all faiths and traditions. Cremation is a preferred choice for some families, and the options available with cremation provide many ways to a create lasting tribute. With cremation, most families we serve choose to celebrate and remember the life of their loved one. It is through this memorial that family and friends say farewell, grieve with others, share memories, and begin to heal. You will make many of the same decisions as with a traditional funeral service. Do you want a traditional funeral service with the body present, or a memorial service without the body present? What personal tributes, such as a video, would you like to include? What kind of visitation arrangements would be appropriate for your family? Where will the remains be laid to rest? What type of urn or container would you like to use? Turner Funeral Homes' state-of-the-art crematory is the only on-site crematory in Caddo, Blaine, Canadian, Custer and surrounding counties. We believe it is important for your family to know that once their loved one is in our care, they never leave. This is one more way Turner Funeral Homes offers the most personalized service in Oklahoma. To learn more about cremation or burial or to learn more about our on-site crematory, contact us at (405)-542-3222. We offer an extensive inventory of merchandise to fit every budget and family preference. Our experienced staff will guide you through the selection process, helping you make the choice that best honors your loved one. Historically, caskets have been made out of hardwood, finely crafted to reflect the simple beauty of the wood. 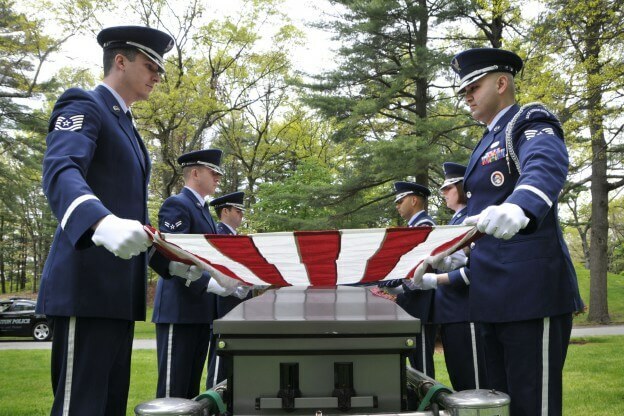 Today's choices are much broader, with many families selecting a casket made of regular steel, stainless steel or a non-corrosive metal such as bronze or copper, or even a casket specifically designed for cremation. Outer burial containers are graveliners or vaults that encase the casket or urn in the grave. The purpose of the graveliner is to support the weight of the soil and protect the integrity of the gravesite. Vaults are created to take that one step futher by protecting the integrity of the casket as well. Many cemeteries and memorial parks require the use of outer burial containers because it insures better cemetery maintenance and care over time. From top-of-the-line copper to durable concrete, your outer burial container options will be discussed at the time you select a casket or urn. With cremation services have come a welcomed increase in the variety of cremation urns available. We offer a variety of cremation urns. Our inventory includes urns made from very traditional semi-precious metals, to simple wooden options, to environmentally conscious biodegradable options. Our staff can help you choose the urn that best memorializes your loved one. We invite you to our Hinton location to look through the diverse selections we offer. When death has occurred, please call 405-542-3222 for immediate assistance. Our phones are answered 24 hours a day, everyday. Making funeral arrangements in advance is one of the greatest gifts you can give your loved ones. Overall, advanced funeral planning saves time and money. Pre-planning gives you flexibility to consider your options, and is already defined in case of an untimely death or illness. But just as important, advanced funeral planning relieves your family from having to make difficult decisions amidst their grief. It may also help ease the financial burden, eliminate family miscommunication, and provide comfort to those who want to honor your life in a meaningful way. At the time you make your advanced plans, we will discuss funeral funding options with you. Whichever options you choose, the benefit of funeral prefunding is that you pay today’s prices, regardless of when death occurs. We encourage you to discuss your funeral/life celebration plans with your loved ones, so they will be familiar with the decisions you make. This ensures there are no surprises. When you select Turner Funeral Homes, you get more than just another funeral home. You get the expertise and professional care that have made us the premier provider of funeral services in Oklahoma—trusted by generations of families for over 100 years. Western Oklahoma Cremation is widely regarded as the preferred crematory in Western Oklahoma. Located at our flagship Turner Funeral Home in Hinton, we have the only on-site crematory in Caddo, Blaine, Canadian, Custer and surrounding counties, ensuring your loved one never leaves our care. Western Oklahoma Cremation has been thoughtfully designed to provide your family with personalized cremation services, offering viewing options from our comfortable, private viewing room. Our staff will discuss the cremation process with you to answer any questions you may have. We encourage you to visit our state-of-the-art facility as you decide whether cremation is right for you.